In looking back on the year that was, some events are clearly more “Chicago” than others. These are the events that could happen nowhere else but here, the things that say something about our city and that residents will immediately recognize as part of our collective experience. 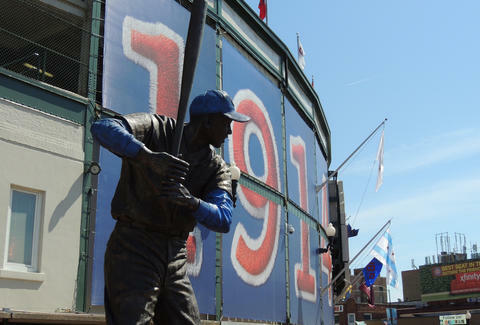 So here, without further ado, are the most “Chicago” things that happened in 2015. Iron Mike Ditka, no stranger to controversy, wore a Packers sweater vest on Oct 27th for a McDonald’s commercial in what seemed like the ultimate act of sacrilege. Yet the gambit ended up with typically Ditka-like results, with the 6-0 Packers losing their next three games, including a stinging Thanksgiving Day loss at the hands of the Bears at Lambeau Field. With Jay Cutler’s career at Lambeau an exhibition in misery up to that point, one is left to wonder if the sweater mojo didn’t provide the little extra juice responsible for putting the Bears over the top. We weren’t at the meeting, but we imagine the roundtable with Taco Bell execs went something like this. 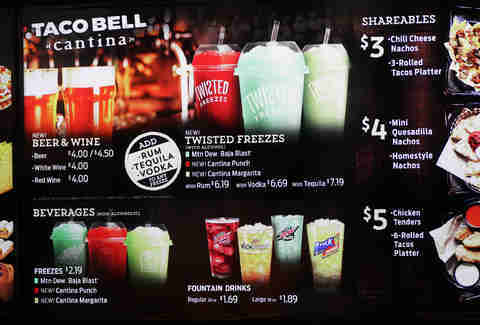 Someone suggested serving liquor at Taco Bell. Then, after a collective spit-take, execs started warming up to the idea of cashing in on booze-soaked taco-crazed bozos but decided they’d need a test market first. After much deliberation, the notoriously thirsty residents of Chicago were selected as guinea pigs because hell, if it won’t work here it won’t work anywhere. Then a weekend bouncer was hired, naturally. The Cubs losing in the playoffs. Hugely. After one of the most fun, inspired seasons in generations, the Cubs ended one of the best regular season stands in their history in typical Cubs fashion: total collapse. After quickly dispatching the Pirates and taking down the Cardinals in their first-ever postseason matchup, you got the feeling this year was different. Until it wasn’t. Yet there were no Bartmans to blame this time around, just the pitching dominance of the Mets who swept the NLDS in four. 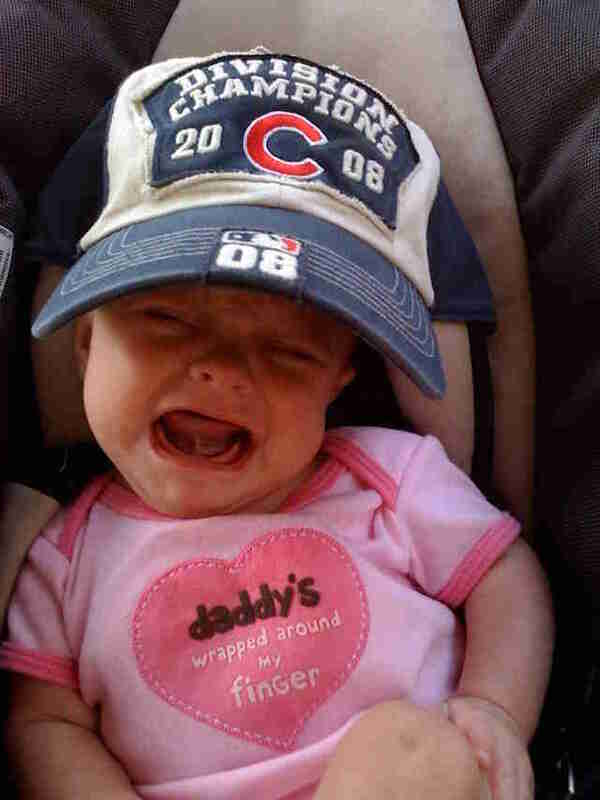 Not quite as hard to swallow as being five outs away, but an end result Cubs fans are certainly familiar with. 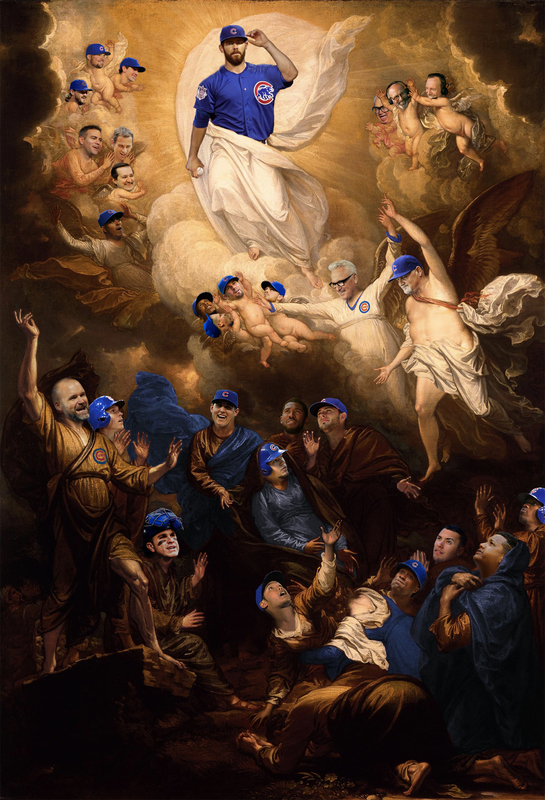 On the bright side: Jake Arrieta in a onesie and a biblical painting. YouTube declared an Ed Debevic’s waitress “The Rudest Waitress Ever” this year after she tore into a family just trying to order dinner. And while Debevic’s shtick is well known even to most tourists, no one is ever quite ready for quips like, “Let’s save you money so you can figure out how to give me a decent tip,” and, “You know what grandpa, if I was nice to you I’d get canned,” before telling you, “Hooters might be more your speed.” When one customer asks if they serve spaghetti, she replies: “You’re at a place that serves paper hats.” Pretty much sums it up. Hopefully the restaurant finds a new location to re-open soon. After three Stanley Cup victories in six seasons, Hawks fans are used to parades through the streets, f-bombs from Corey Crawford, and people partying like animals. But what they might not be quite as used to are actual animals partying like animals, as was the case this year at the Shedd Aquarium when dolphins, sea otters, penguins, and seals marked the occasion by drinking from miniature Stanley Cups and chowing down on Blackhawks-themed treats. So when they say the whole city gets behind its sports teams, they mean the whole city. 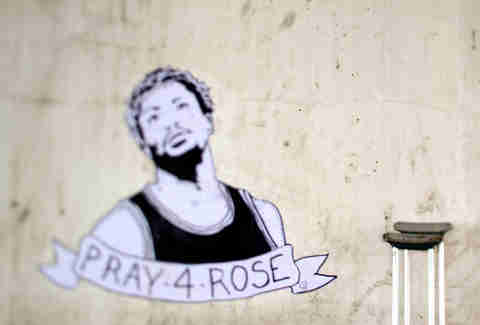 In another sign of just how serious Chicago takes its sports, an I-90 underpass on Fullerton Ave was transformed into a roadside memorial for the then-injured Derrick Rose in March. The elaborate spread featured crutches, candles, roses (get it? 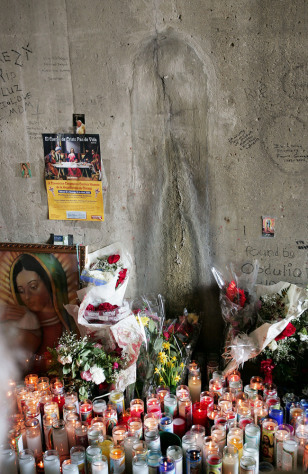 ), framed photos, and a “Pray 4 Rose” painting of the injured star wearing a crown of thorns... placed on the same site where the Virgin Mary once was reported to have appeared in 2005. The jury is still out on who is more popular in Chicago. Following the release of Spike Lee’s Chi-Raq, Hollywood doubled down on its “love” of Chicago with the announcement of The Devil in the White City starring Leonardo DiCaprio and directed by Martin Scorsese. Apparently because violence is the only thing that gets Chicago attention outside the state, the film depicts DiCaprio as famed serial killer H.H. Holmes, who killed dozens of people during the 1893 Chicago World's Fair at a hotel he built specially for slaughter. The “Murder Castle” is now a post office on the South Side. While sure to be a fine film packed with fine talent, it does kind of make you wish for the old days of The Blues Brothers and The Break-Up, eh? At least nobody got axed in Risky Business. He may not have been John Wayne Gacy, but a clown hanging around a cemetery at 10pm is almost as scary. Especially when you are in a car driving by said clown, and he recognizes your presence with a slow wave and then runs away. The clown, dressed in a yellow clown suit and rainbow wig, reportedly scaled a 7ft fence to gain access to Rosehill Cemetery before freaking out occupants of the aforementioned passing car, who then called the cops. Police reported no signs of vandalism, just an unknown clown being weird for the sake of being weird. Which is something Chicagoans can understand. 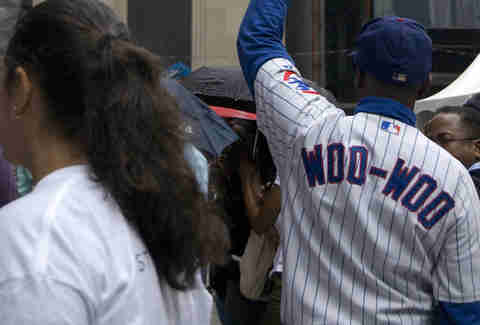 You know your popularity has taken a massive nose dive when Ronnie “Woo Woo” Wickers, the legendary superfan who has been wooing it up all around Wrigleyville since the 1950s, switches his woos to boos. Such was the case when, out of nowhere, Wickers grabbed the mic at a recent press conference outside the mayor’s office in support of a mayoral recall, stating: “I think the mayor should go.” As a Cubs fan for over half a century, the formerly homeless Wickers knows a thing or two about patience, but even he has seen enough of business as usual in Chicago. Jay Gentile is a Thrillist contributor and he always wears his onesie to get drinks at Taco Bell. Follow @innerviewmag.